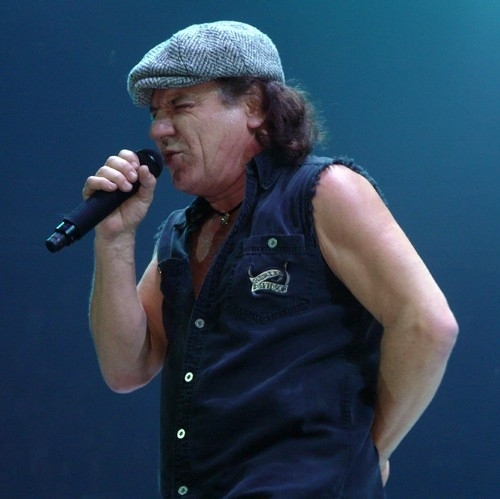 AC/DC singer Brian Johnson is among the guests featured on "The Last Ship," the forthcoming album by Sting. Due September 23 (September 24 in North America), the album is inspired by Sting's forthcoming play of the same name and explores the central themes of homecoming and self-discovery, drawing upon his memories of growing up in the shadow of the Swan Hunters Shipyard in Wallsend, England. Sting has been working on the play for nearly three years, and it will debut on Broadway in 2014. The project tells the story of the demise of the shipbuilding industry in 1980s Newcastle which had, for so long, shaped and overshadowed the city, its development, and its community. In addition to Johnson, other guest artists – with roots in the northeast of England – include Jimmy Nail, The Unthanks, The Wilson Brothers and Kathryn Tickell. A super deluxe edition, containing 2-discs comprised of 20 tracks within special packaging, will also be sold as a physical product exclusively at Amazon.com. Amazon MP3 will be the exclusive retailer for the 20-track, super deluxe digital edition.